If you have ever suffered from shoulder pain, you are not alone. Millions of people suffer from shoulder pain in their lives. There can be several reasons why shoulder pain occur, and it is one of the most common areas on the body to experience pay due to the makeup of what we call the shoulder. When referring to the shoulder, we are talking about several joints that are combined with tendons, muscles, and bones that work together to allow a wide range of motion for the arm. Things like throwing a ball, extending your arm, or scratching your back, are all done with these tendons and muscles working together as one unit – the shoulder. These are more common cases of shoulder pain, but there are others not included in this list. When you are experiencing one of these, the injury can cause pain from mild to severe. When you are experiencing this pain, you will also suffer from lack of mobility and range of motion in your shoulder. If not treated, the pain you may be experiencing can spread to other parts of the body, such as the neck or back. This is why taking care of shoulder pain as soon as possible is vital for pain relief. When it comes to shoulder pain treatment, there is one one-and-done solution. With the variety of shoulder problems that you may be experiencing, it is important that we must carefully examine the problem area before administering a treatment option. 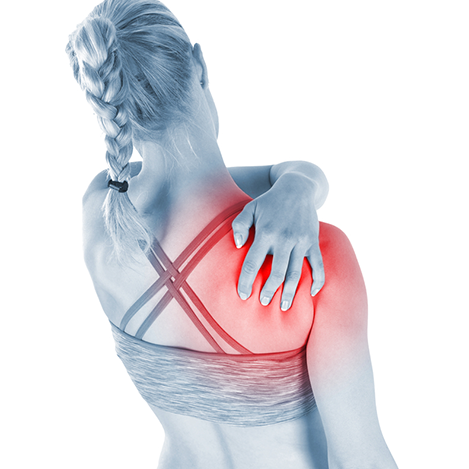 Most should pains, however, do require the same general treatments, including: rest and relaxation from strenuous exercise, physical therapy to strengthen shoulder and increase flexibility, avoiding over exertion, and follow up doctor visits. Other treatments options will vary depending on your diagnosis, but you may be prescribed medications to help reduce inflammation and pain in the shoulder. Injections are a common treatment option and often work great. Surgery also may be required if the pain is significant enough, but very rarely are surgical procedures necessary in order to relieve the pain of the shoulder. If you or someone you know is suffering from shoulder pain and is ready for pain relief once and for all, call us at Texas Pain Physicians today, at (972) 636-5727, and schedule an appointment with one of our certified pain doctors.